You don't see earthquakes coming as you would with, say, a hurricane. But that may soon change with recent advancements to a "groundbreaking" early warning system developed, in part, by Google's philanthropic arm. Earlier this year, a consortium of researchers from UC Berkeley, the USGS, and other universities began testing the prototype system. It relies on a network of seismological sensors embedded throughout the West Coast—the same already used to monitor quake activity—to detect P-waves. P-waves are the initial tremors, often very minute, that precede the destructive S-waves. 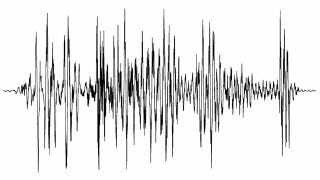 Upon any detection of a P-wave, the new system would immediately notify the public of an impending quake. This will provide people, hospitals, and utilities precious seconds and minutes to prepare. But how does the word get out? That's where Google comes in. Currently, TV and radio announcements are the norm with a few cellular carriers providing alerts as well. Now, Google and several other companies, including Deutsche Telekom's Silicon Valley Innovation Center are looking into how to instantly disseminate the warnings on multiple platforms such as computers, cellphone alerts, and community alert systems.